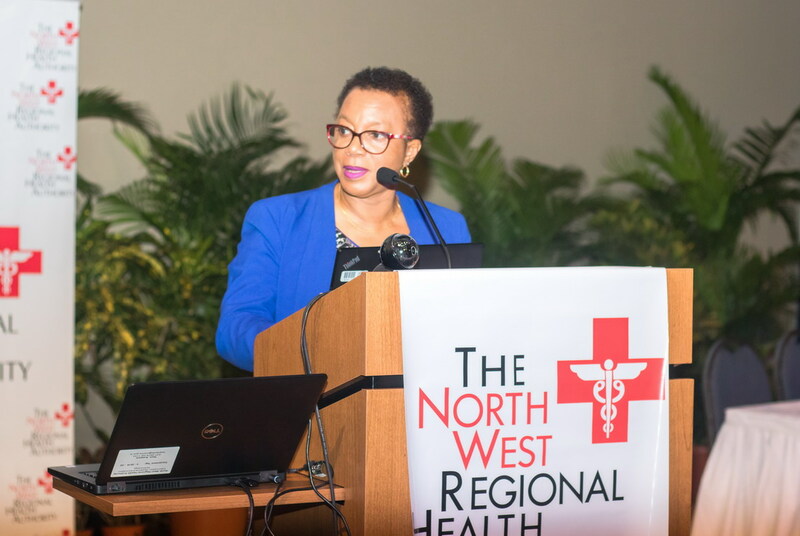 The North West Regional Health Authority (NWRHA)’s 2nd Annual Research Day 2018 was a tremendous success. 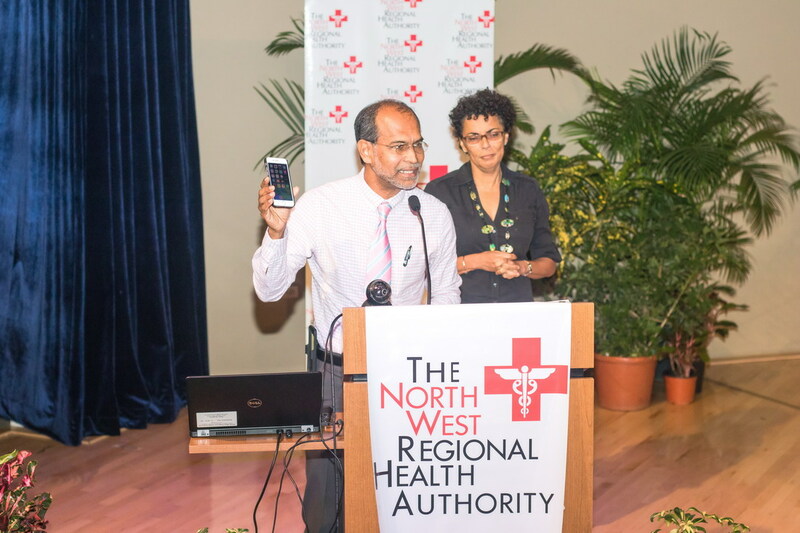 Over fifty-five research participants impressed a panel of esteemed judges on Friday 30th November, 2018 at the Government Campus Plaza Auditorium, Richmond Street, Port of Spain which was the venue for the auspicious event, attended by approximately 300 persons. Study investigators efforts both in research posters and oral presentations yielded many varied angles to health research and as such presented a challenge to the venerated judging panel of Dr. David Bratt – Paediatrician; Professor Paul Teelucksingh – Professor of Medicine; Dr. Stacey Chamely – General Practitioner & Palliative Care Specialist; Dr. Maria Bartholomew – Director, North Central Regional Health Authority, Dr. Dylan Narinesingh, Director of Health, NWRHA and Dr. Adelle Chang On, Director, North West Regional Health Authority. 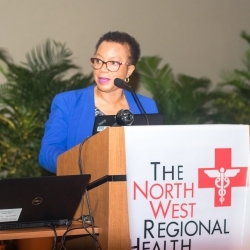 This daylong affair showcased the diversity of health sciences related research at NWRHA and featured presentations by physicians, scientists, nurses, and medical students from throughout the NWRHA and the country. This event elevated awareness and appreciation of research endeavors across departments, services and specialties to foster the exchange of information and ideas, and improve multidisciplinary efforts. Initial abstract submissions were evaluated for scientific merit through a competitive selection process; 51 presentations were accepted for poster presentation and 6 were categorized and selected for oral presentation; therefore 57 research studies were accepted for Research Day due to outstanding quality. This research encompassed basic biomedical research, patient-oriented research, epidemiologic and behavioral studies, outcomes research and health services research, case studies and translational research. 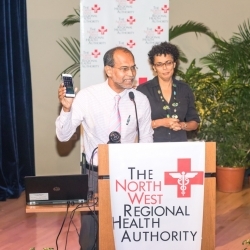 Demonstrating the collegiality of NWRHA investigators, study collaborators included researchers from The University of the West Indies, The University of Trinidad and Tobago and The University of the Southern Caribbean. 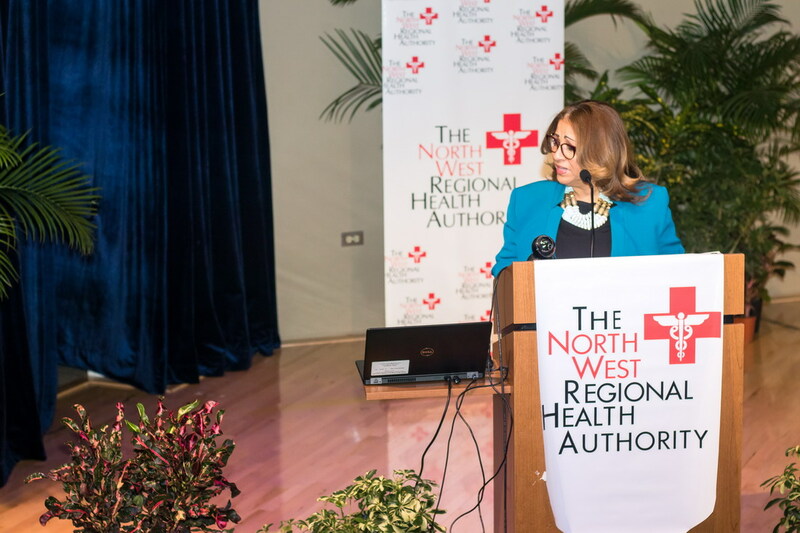 The master of ceremonies, Dr. Maria Bartholomew, introduced the event which was officially opened by the Chairman of the NWRHA Ms. Lisa Agard with remarks by Dr. Erica Wheeler – PAHO/WHO Representative; Mr. Ian Ho-A-Shu – Senior Health Specialist IADB; and Dr. Harry Smith- Principal Medical Officer, Epidemiology, Ministry of Health. 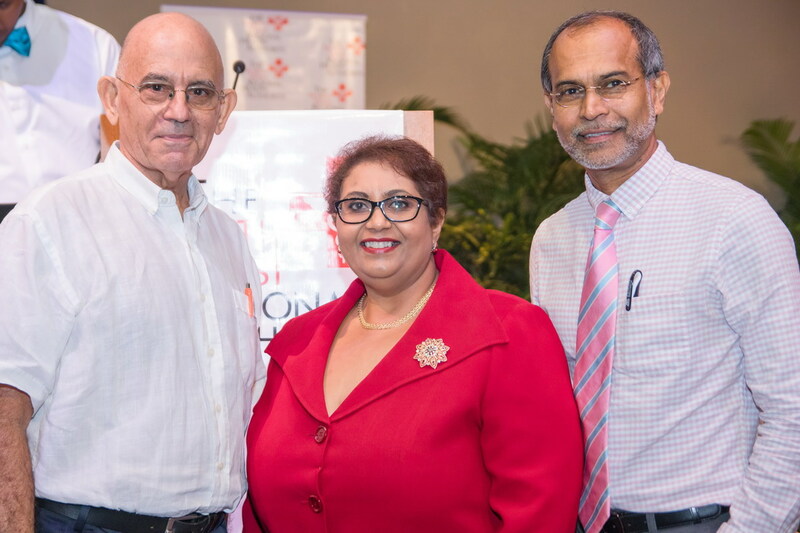 Professor Teelucksingh delivered an address on Diabetes. 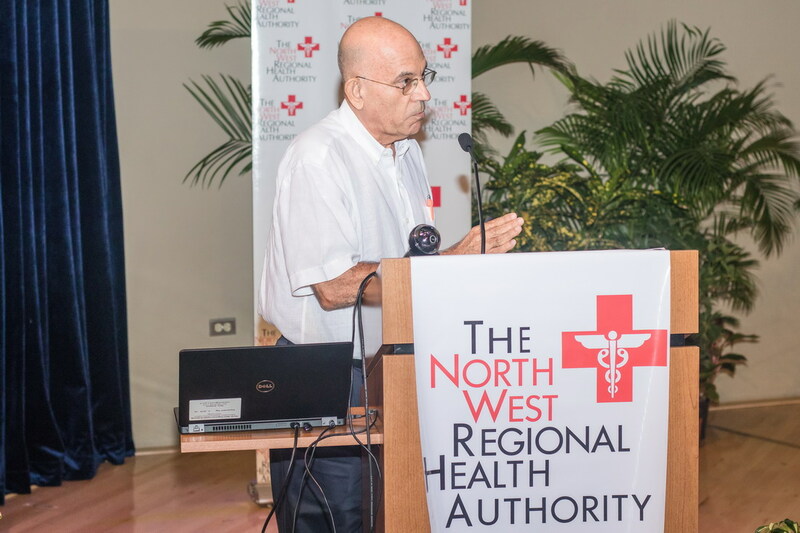 Dr. David Bratt also delivered an excellent feature presentation which was very interactive on Childhood Obesity. 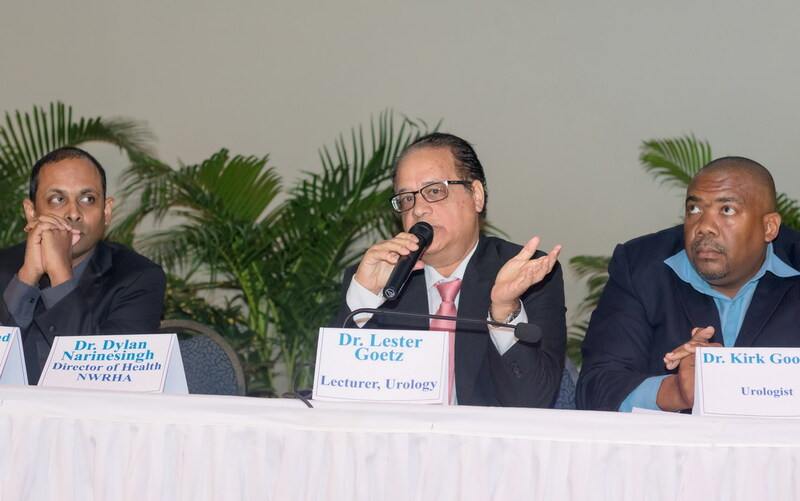 These expositions made way for an expert panel discussion on “Prostate Cancer Screening & Early Detection In The Caribbean” which was chaired by Dr. Dylan Narinesingh and included Dr. Lester Goetz – Consultant and Lecturer of Urology, Department of Surgery, UWI; Dr. Kirk Gooden, Department of Urology, POSGH; and Dr. Anesa Ahamad- Radiation Oncologist, University of Miami. Oral research presentations followed the expert panel and selected research posters were available for viewing beginning prior to the event until the late afternoon. 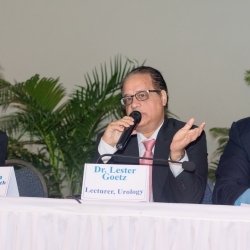 Many studies addressed Non-communicable diseases including: Potential Orally Administrable Drug for Type II Diabetes Therapy; Initiation of insulin therapy among patients with type 2 diabetes mellitus in public health primary care settings in Trinidad; Differential Vaginal Wall Dosing In High Dose Rate Brachytherapy For Endometrial Cancer: The Potential For Superior Coverage Of At Risk Areas While Preserving Organs At Risk -An Analysis Of Simulated Data; Health In The Market Place: Results from a Community Intervention 2010 to 2017; Results from a Workplace Wellness Initiative, 2013 –2017: Enabling a Healthier Workforce; Effects of a Health Education Intervention Program on the Risk Factors for Childhood Obesity; What non-communicable diseases are and how they can be prevented and controlled; The development of a smart sock that aids in preventing foot and leg amputations of persons with diabetes mellitus; How many clicks does it take? The role of incentive value in a healthy eating intervention; The Future of Insulin Mimetics in Diabetes Therapy; Improving management of Childhood Obesity, A Quality Improvement Exercise; Relationship between total and truncal fat with categorized BMI among children aged 5-12; Evaluation of the Diet and Lifestyle Patterns of Persons with Gestational Diabetes in Urban Trinidad; Diets and Lifestyle among USC Campus Community; Knowledge And Attitude Towards HPV, Pap Testing And HPV Vaccination Among Women With HIV; Distribution of 32 single nucleotide polymorphisms (SNPs) associated with Cardiovascular Disease (CVD) in Trinidad and Tobago: A case–control study; Smart app for early warning for Cardiovascular Disease management among Trinbagonians; Results from the Pilot Implementation of a Hospital-Based Cancer Registry at the St. James Medical Complex (SJMC); Analysis of patients admitted to two major hospitals in Trinidad for attempted suicide to determine associated factors and methods utilized in their attempts; What factors contribute towards stigmatization of the mentally ill at two (2) mental health and wellness centers? 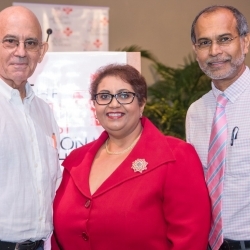 ; Relationship between Empathy and Subjective Wellbeing among Medical Students; Survey on Students Perception of Persons with Mental Illness; and “Behind the closed doors” The effects of early childhood abuse on a Dementia client: A case study from Trinidad and Tobago focusing on the benefits of Music Therapy. 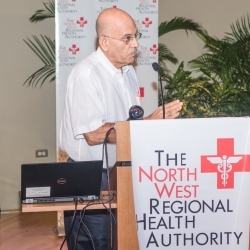 Clinical topics also included Public Perception of Deceased Organ Donation in Trinidad; Quality of sleep In Trinidad among the Adult population; Spinoffs from the Introduction of ATLS Training In the Caribbean; A Clinical, Radiographic and Histologic Review of Ameloblastoma Cases presenting in a West Indian population over a 10-year period; Use of Growing Rods in Scoliosis – The Trinidad Experience; Strategies for the prevention of non-communicable diseases; Correlation between Pre-Operative Clinical and Radiologic Features with Malignant Potential of Frantz Tumours in the Pancreas; The therapeutic impact of hydrogen peroxide wound irrigation in patients undergoing surgical debridement for Fournier’s Gangrene: a retrospective study; Intra-Hepatic Biliary Tree: Anatomic Variations in A Caribbean Population (A Retrospective Study); Doc, my knee replacement is making squeaking; Radiation exposure risk and risk assessment report using modern technology; Cutaneous Malignant Melanoma in the Port of Spain General Hospital: A 15-year Retrospective Study; and An analysis of Gunshot Injuries and Deaths in Trinidad and Tobago. Health Services posters included topics addressing Triage and Assessment of Patients Accessing Primary Health Care Services at Two Local Health Centers in Unit A, St. George West District: A Clinical Audit; Examining the Knowledge, Attitude, Resources and Practice among new registered nurses with less than three years nursing experience in prevention of needle stick injury in the clinical setting; A cross sectional study on patient satisfaction in a medical outpatient clinic setting in Trinidad between April 2018 and June 2018; The effect of increasing surgical positions on cataract surgery rates at an eye unit in the Port of Spain General Hospital; An audit of the management and pregnancy outcomes in women with Sickle Cell Disease at a tertiary hospital in Trinidad and Tobago; A survey of the endoscopy workload at the Port-of-Spain General Hospital (2012-2017); Improving Awareness of HIV Status through a Community-Based Intervention: Voluntary Counselling and Testing (VCT), 2014 –2017; To what extent can the National Blood Transfusion Service of Trinidad and Tobago Ministry of Health motivate the numbers of repeat and regular voluntary donors; and Direct Fascial Puncture Technique for Single Incision Laparoscopy without Working Trocars: Feasibility in a Resource Poor Setting. Case studies included The Lateral Medullary Syndrome; Elevated Pancreatic Enzymes in Pneumonia: Incidental or Coincidental? A case report; Am I allergic to my knee replacement? ; An exploratory study of Inflammatory Bowel Disease and its Health Related Quality of Life among patients in Trinidad; A rare case of trans-articular migration of cerclage wire. 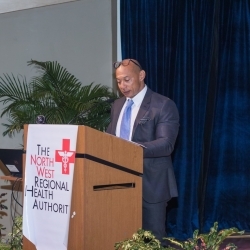 The NWRHA Second Annual Research Day 2018 was a strategic initiative, to strengthen research capacity and improve the ability of healthcare institutions and staff to contribute to health research. 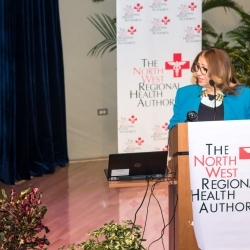 The theme of the NWRHA Research Day was “Prevention & Control of Non-communicable Diseases”. 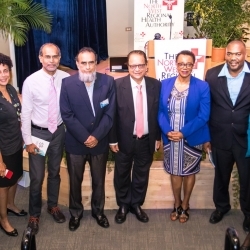 Non-communicable diseases (NCDs), including heart disease, stroke, cancer, diabetes and are collectively responsible for almost 70% of all deaths worldwide.In Trinidad and Tobago, there has been an epidemiological transition and NCDs are now the major health problems. The NCD problem is growing rapidly because of the high and increasing prevalence of NCD risk factors in the population. Today, onset of NCDs is being observed more frequently in the under 45 years age group. Nationally NCDs account for over 60% of deaths annually. Of the NCDs, heart disease is the number one cause of death, accounting for a quarter (25%) of all deaths annually, followed by diabetes (now the second leading cause of death) accounting for 14%, cancer (13%), and cerebrovascular disease (10%). 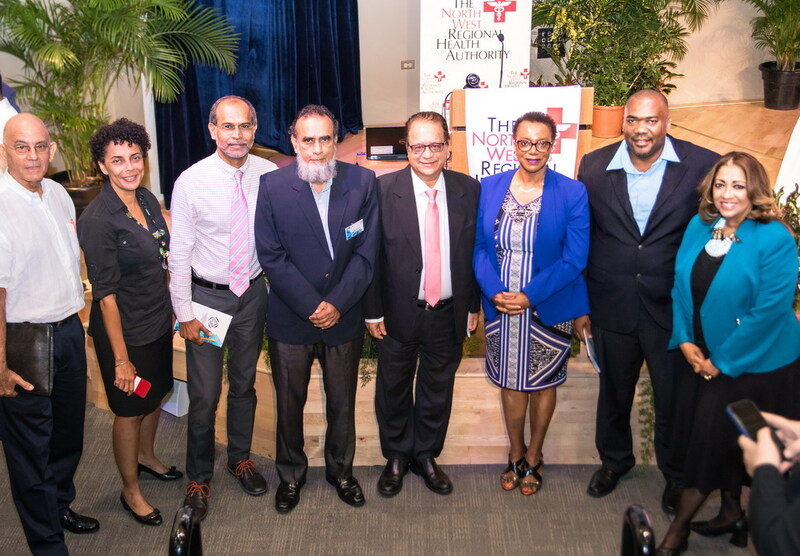 The National Strategic Plan for the Prevention and Control of Non Communicable Diseases: Trinidad and Tobago takes into consideration the range of health interventions necessary to combat the prevalence of NCDs including research. Health research involves scientific investigations that aim to answer questions, test ideas, prevent disease, improve treatment options and increase knowledge about human health. Health research is a valuable tool which provides important information about disease trends, risk factors, outcomes of treatment, public health interventions, patterns of care, healthcare costs and use. 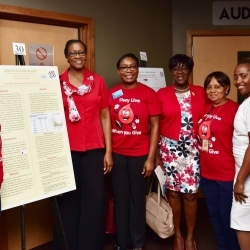 Research Day 2018 was a forum to share medical best practices, technical expertise and novel findings on human health. 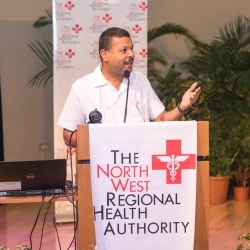 There is significant evidence that demonstrates the impact of health research on health policies, practice and outcomes, priority setting and evidence-based decision-making and the Authority continues to support initiatives to translate research into lessons and innovations that improve care and maximize population health. 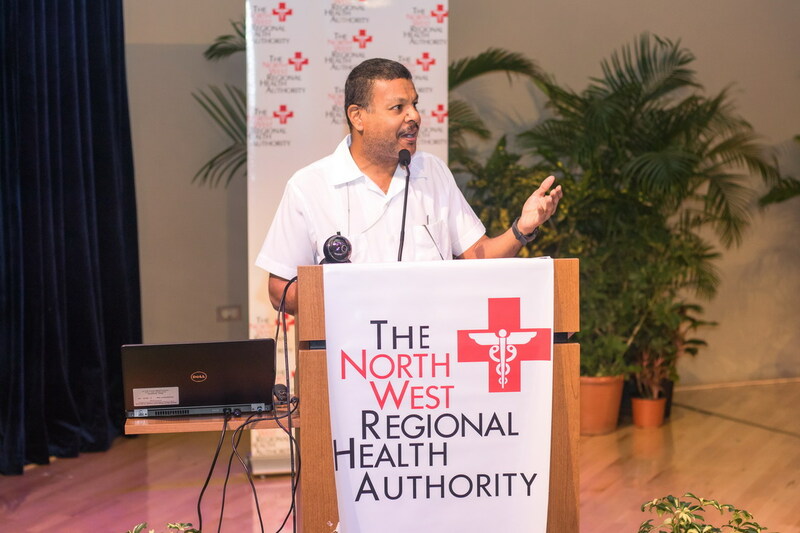 A special thank you to key advocates of the NWRHA Research Day especially the NWRHA Chief Executive Officer, the NWRHA Executive Board of Directors and the Trinidad and Tobago Medical Association. 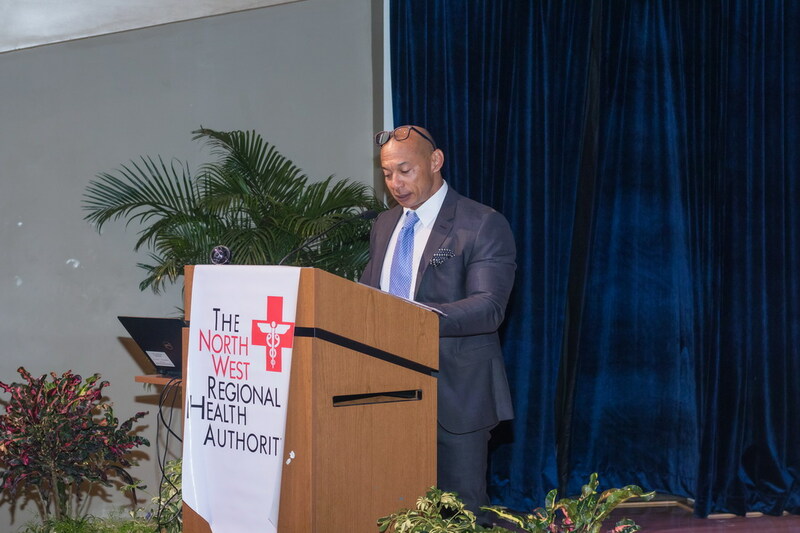 The day would not have been possible without the hard work of the staff of the Health Policy, Research and Planning Department (HPRP) and the Corporate Communications Department. The Authority also wishes to express its sincerest appreciation to Blue Waters Products Limited for their sponsorship. Ms. Magda Baksh, General Manager, HPRP and Dr. Dylan Narinesingh were inherently responsible for bringing the initiative to fruition for a second year and must be commended for their rewarding efforts. 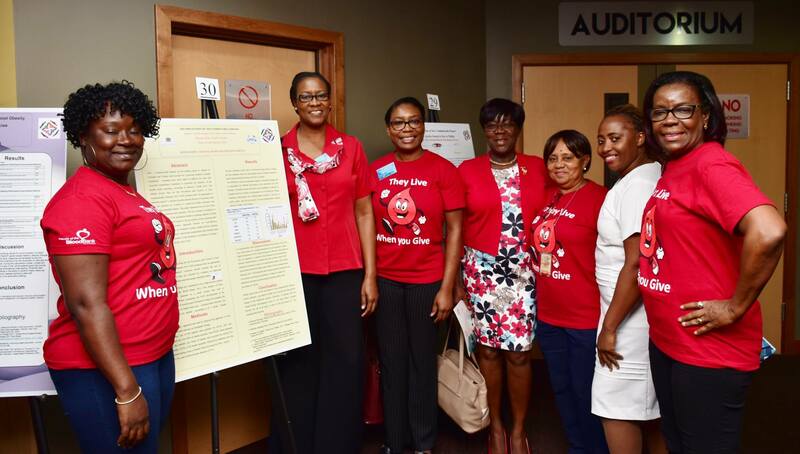 The NWRHA wishes to congratulate all participants who tirelessly worked long hours to conduct and analyse their research and willingly dedicated time to producing posters and presentations for Research Day. The Authority is pleased to announce the following winners of the 2nd Annual Research Day 2018.